It is a strange kind of experience if you discover that the topic that you are most associated with has its 10 years anniversary. This happened to me when Ronald Maier and I together with Christine Kunzmann prepared the invited Special Track on Social Knowledge Management. 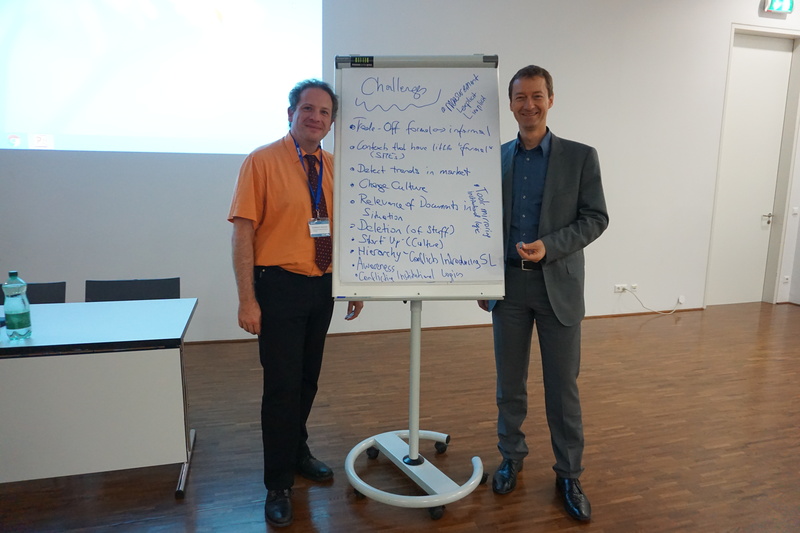 I-KNOW 2015 celebrated its 15th anniversary with inviting influential paper authors to organize such a track. It was at I-KNOW 2005 when the first paper on the model was published. It was a reaction to the chasm between e-learning and knowledge management and has sensed the emerging transforming effect of a social collaboration view on knowledge management. Since then, numerous cross-disciplinary research activities have contributed to the extension and refinement of the model. At the heart is the insight that knowledge develops along distinct phases in which its characteristics and thus requirements for support change. It brings to­gether different perspectives and provides a frame­work for analysis and design of interventions. Research is still continuing, and after analyzing its applicability to ontology engineering, to engineering software, we are now looking into socio-technical design patterns as an approach to capture and share experiential knowledge. We presented a tool-chain in which socio-technical patterns can be developed from peer coaching activities in which eliciting of motivational and affective aspects becomes possible, via a collaborative editing system Living Documents to social learning programmes to disseminate to and engage with a wider audience.